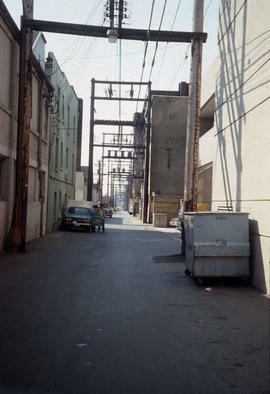 Image shows primarily the alley between the Western Canadian Raw Fur Auction Sales building and the Canadian Imperial Bank of Commerce. 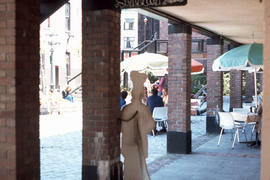 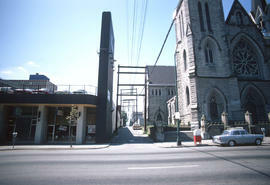 Image shows, in the centre, the alley between the storefronts on the east and Holy Rosary Cathedral on the west, and the east side of the Holy Rosary Cathedral. 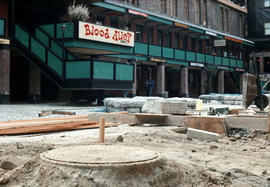 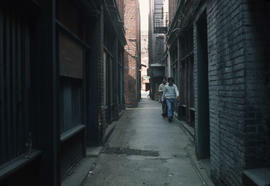 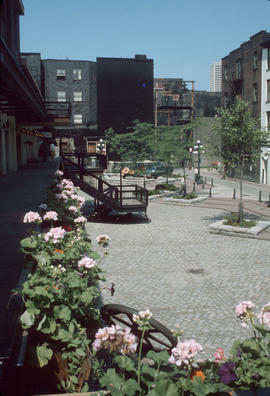 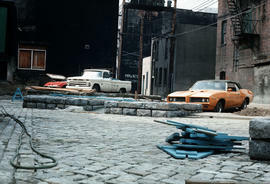 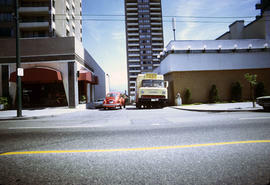 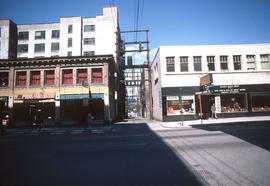 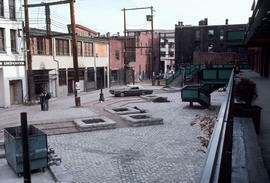 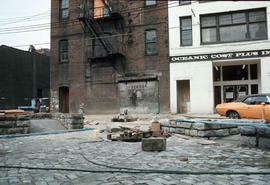 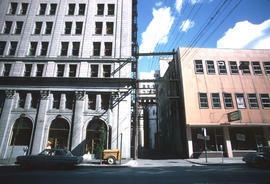 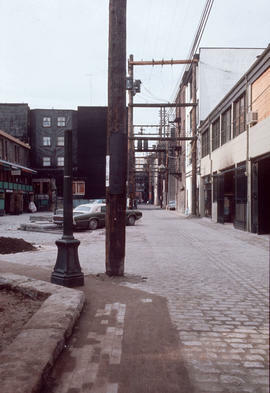 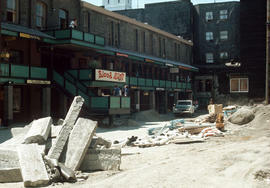 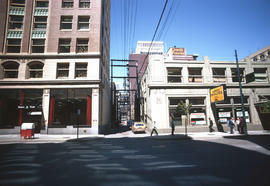 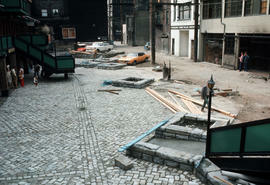 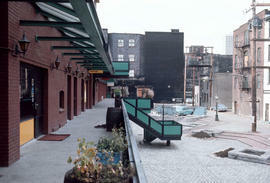 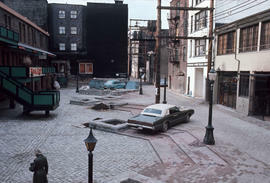 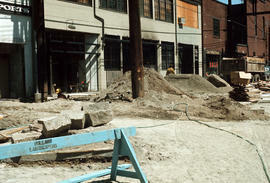 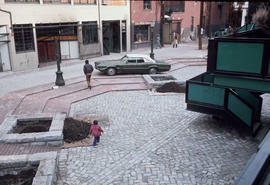 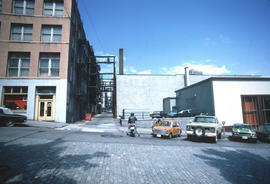 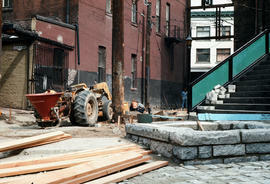 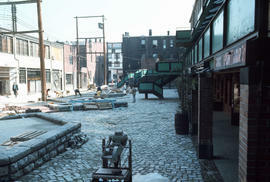 Image shows alley between Hastings Street & Pender Street, the Credit Foncier building on the left and the a portion of the 408-442 Hornby Street building on the right (including the John Andrew Men's Wear sign). 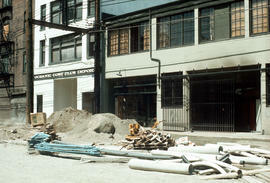 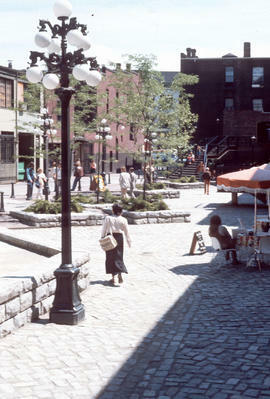 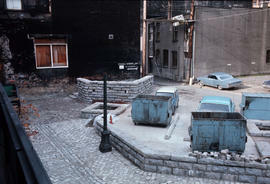 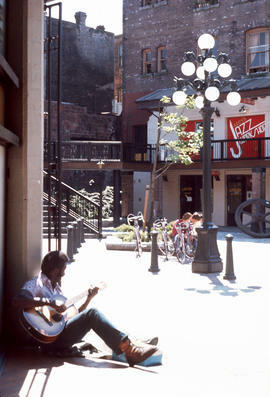 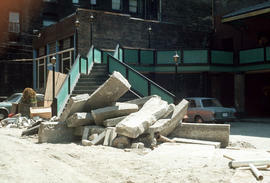 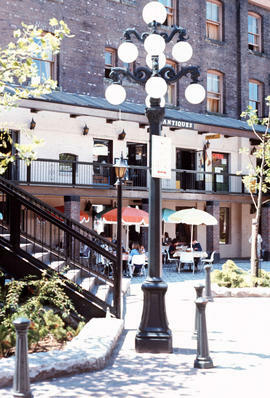 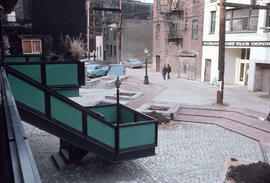 Image shows alley between Hastings Street & Cordova Street and portions of the Canada Trust Building and the Superior Reproductions Building (435 Howe Street, includes sign). 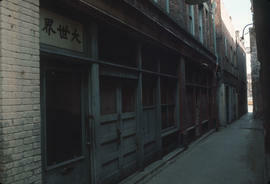 Image shows "Barber", Personal Aid Shop, and, across the alley, Carroll Electric Ltd., and Bond's Book Shop. 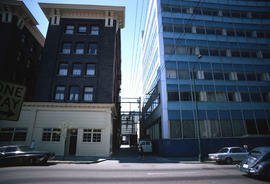 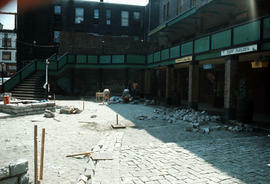 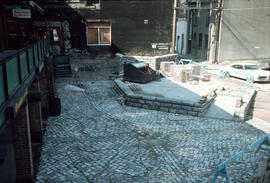 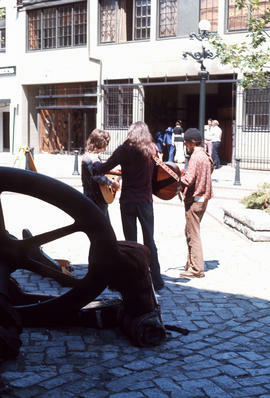 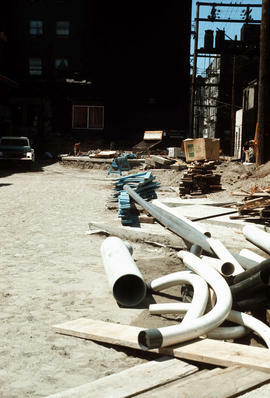 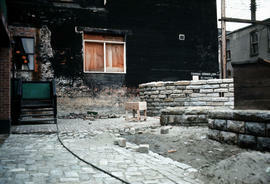 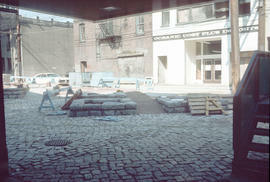 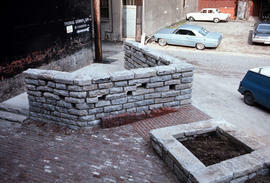 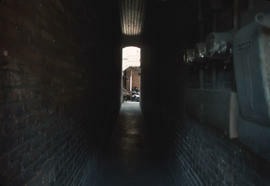 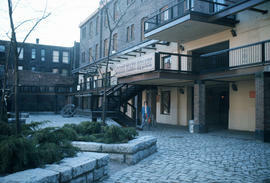 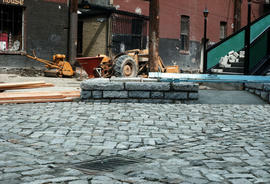 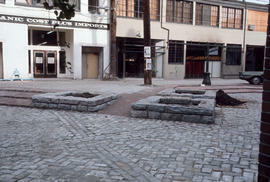 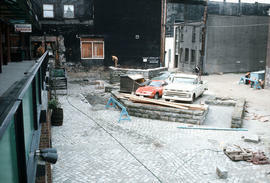 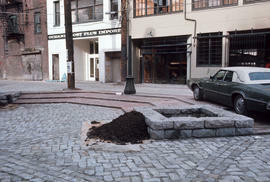 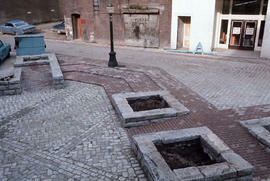 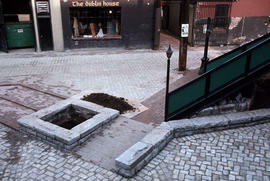 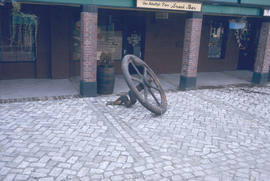 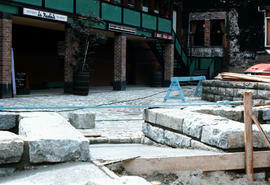 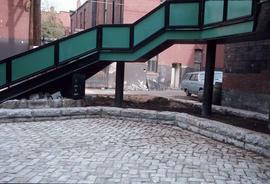 Image shows parts of the Dunsmuir House for Men and the IPEC Building, along with the lane between them.